H&M has been slapped with yet another trademark infringement lawsuit this week. Wildfox Couture named the Swedish fast fashion giant in a lawsuit on Monday for using its “Wildfox” trademark. And now, according to a complaint filed in California federal court on Thursday by the duo behind Classixx, H&M is infringing their trademark and confusing consumers by selling merch bearing their federally registered “Classixx” mark. And consumers have actually been confused as to the source of the garments. For instance, fans have taken to tweeting David and Blake – who have been producing "a unique style of electronic dance music" and performing their music around the world since 2007 – to inquire as to whether they collaborated with the Swedish fast fashion giant. While the plaintiffs claim that they “served a cease and desist demand on H&M” prior to filing the lawsuit at hand, “no resolution could be reached.” Why is that, you ask? Well, because when contacted by the plaintiffs, "H&M denied any wrongdoing and asserted that there was no issue because Classixx was a ‘relatively unknown DJ duo,'" as David and Blake’s counsel, Scott Alan Burroughs, of Los Angeles-based firm, DONIGER / BURROUGHS, told TFL on Friday. Burroughs claims that H&M's counsel's response is "absurd given, among other things, the history and success of Classixx and the fact that H&M plays Classixx music in its retail stores." The complaint goes on to state that H&M “has received a commercial advantage and value through its exploitation of [the plaintiffs’ band] name and identity by receiving revenues and profits in connection with the sales of the infringing garments." 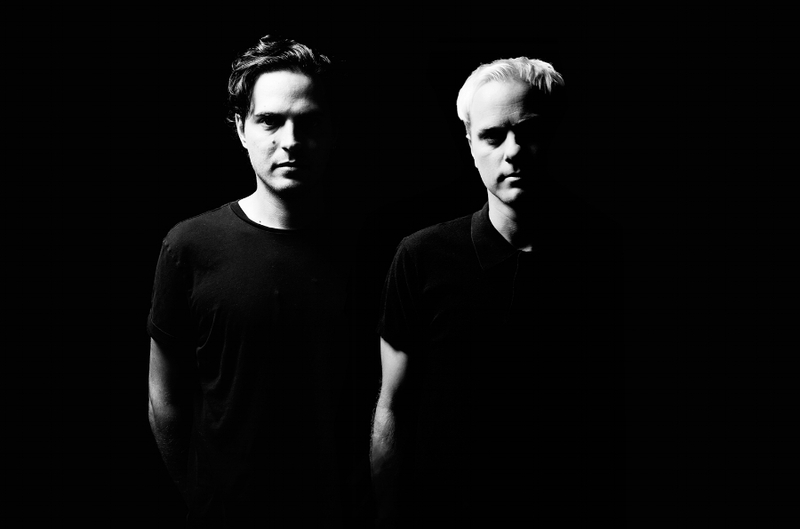 David and Blake are seeking injunctive relief to ensure that H&M immediately and permanently ceases all sales of garments and accessories bearing their “Classixx” trademark, as well as an array of damages, including any profits made by H&M in connection with the sale of the unauthorized Classixx merch. H&M was not immediately available for comment. The case is HUSH HUSH SOUND, INC., a California corporation; MICHAEL DAVID; and TYLER BLAKE, v. H&M HENNES & MAURITZ LP, 2:17-cv-07668 (C.D. Cal).